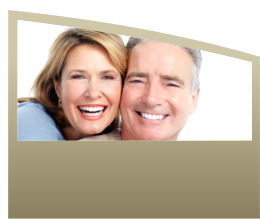 King Family Dental Care | Make an Appointment today! Welcome to King Family Dental Care! Welcome to King Family Dental Care with Dr. Mitchell King, located in central Arkansas in the city of Conway. We are glad you have chosen us for your oral health needs and hope that every encounter with our office and staff exceeds your expectations. We know our patients have a choice in Conway dentists, so we go out of our way to deliver the level of dental care and compassion we would want for our own families. Dr. Mitchell D. King is a general dentist who focuses on comprehensive dental care rather than one aspect or specialty. We encourage you to visit our patients services page to view many of the routine procedures we perform here at King Family Dental Care. Continuing our education in the expanding dental spectrum is very important to our office. We are up-to-date on all of the latest procedures available and the most pain-free techniques to treat all of our patients. New patients can print out our medical history forms online and fill them out before your visit to save time at your appointment! Be sure to take a look at some of our actual before and after pictures in the smiles gallery and see how we are “changing Conway Arkansas one smile at a time”. Again, thank you for visiting our web site and we hope to see you in our office very soon! If you are using a smartphone, click here for mobile site.